Still the most popular cordless hotel phones in the world, 9600 Series has a proven record of rugged dependability, complemented by a rich feature set, including AutoSync handset pairing, multiple handset kit options, OneTouch® message retrieval, and optional battery backup. 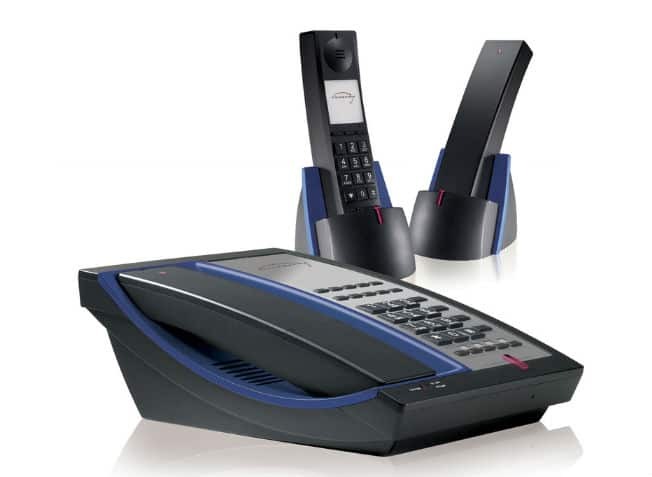 Available in single and two-line analog or VoIP cordless configurations. The series comes with a choice of 7 colour inserts at an additional cost. 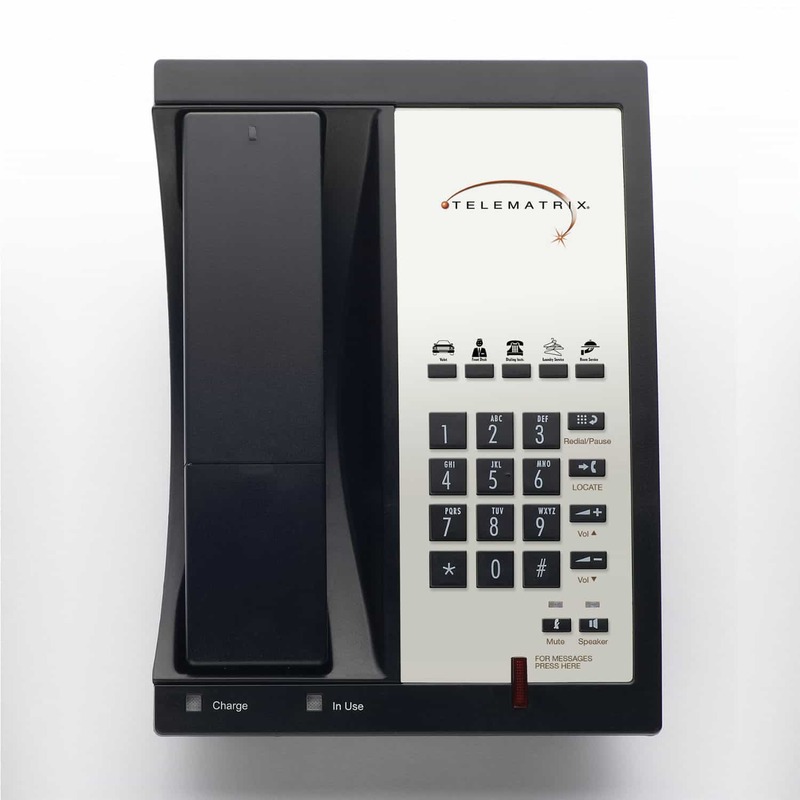 The TeleMatrix 9600 MWD5 DECT is a single-line, two-way speakerphone with 5 memory buttons for guest service features. With DECT 6.0 cordless technology, you can be assured your conversations are secure. 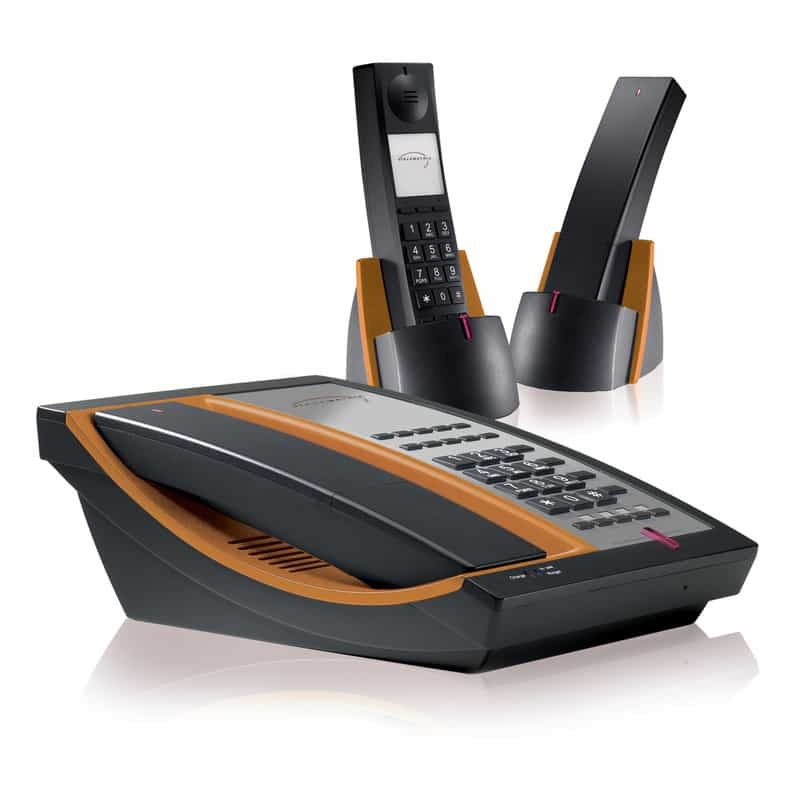 Handsets are Reprogrammable to All Bases.